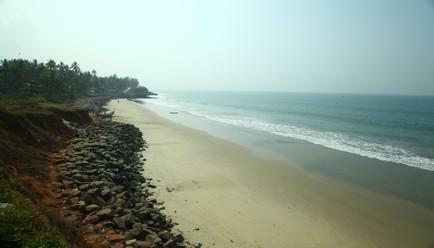 The Arabian Sea bathes to its west, with sandy beaches galore. B’Canti Boutique Beach Resort adds a new dimension to your rejuvenating beach holidays. The sea, the fine sand, the cliffs at sunset, the small waterfalls in the region, are a spectacle you can never miss. Opt for a walk by the beach at sunset or sunrise for spectacular views. The resort offers you an escape from the boredom of everyday life. 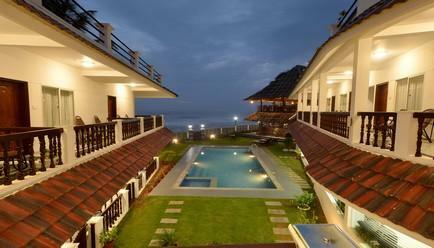 In the lap of luxuriant nature, lies the B’Canti Boutique Beach Resort, Varkala. 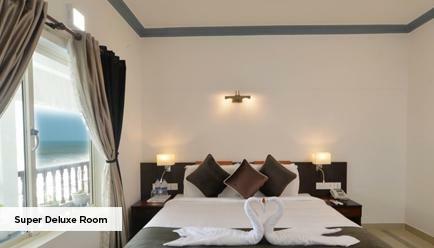 Tastefully decorated for the discerning traveler, this resort provides unmatched comfort and a memorable stay. 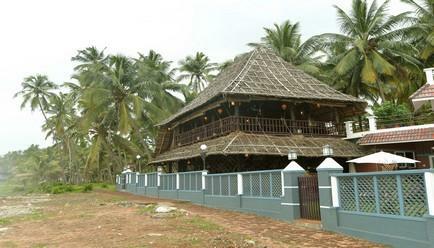 Visit the Anjengo Fort and LightHouse, Ponnumthurthu Island, Sivagiri Mutt and Janardhana Swamy Temple that are located very close to the resort. Explore labyrinths of rivers, canals and lagoons, the beaches, tea, and spices gardens, and its natural reserves filled with wild animals – this is just a gist of your trip to Kerala. In the south of Kerala, one relaxes on Varkala beach, beautifully lined with cliffs. There is nothing like the shores of the Arabian Sea, to enjoy the sun and breeze. B’Canti is located aptly in close proximity to the sea and backwaters. 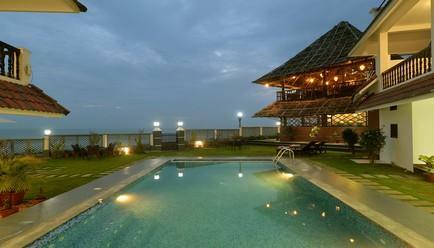 The earthy atmosphere makes for an ideal set-up for a laid back holiday in God’s own country. 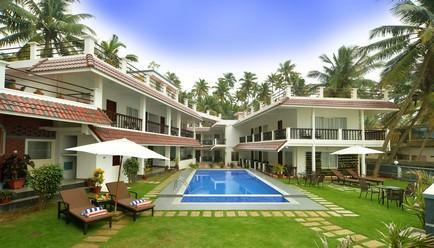 What makes this resort beautiful are the green patches in the vicinity of the resort near the beach. The attentiveness and friendliness of the staff represents authentic Indian hospitality. Deluxe Room – 25 sq.m: The exquisitely maintained and well-spaced room offers a partial sea-view from the semi-private balcony. The contemporary décor blends with the cozy antiques and furniture to give you a rustic feel. 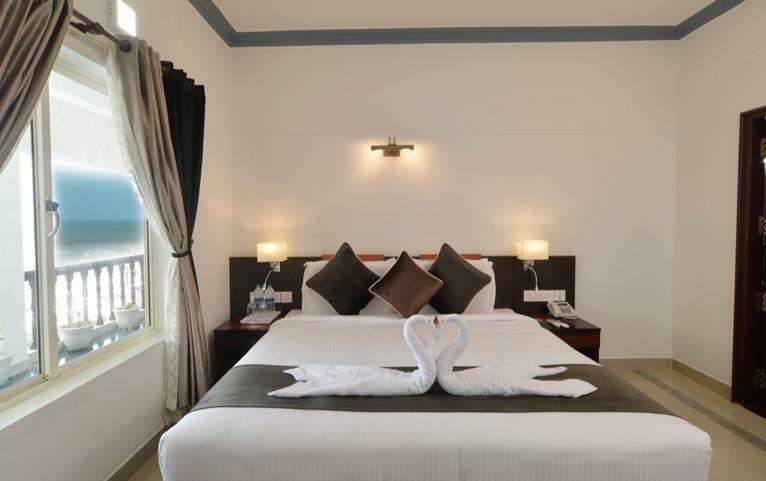 Super Deluxe Room – 31 sq.m: Room with a semi-private balcony opens to the direct views of azure waters of the Arabian Sea. The state-of-the-art amenities with a cozy ambience and wooden furniture impart a warm and welcoming feeling to the room. Maximum Guest Capacity: For the Deluxe Room, The maximum room capacity is two adults and one child (aged below 12 years) or 3 adults. 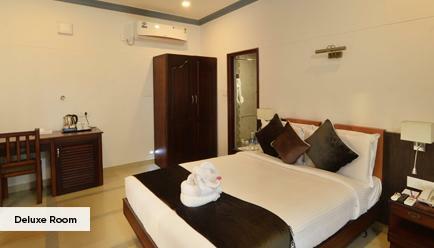 For the Super Deluxe Room, The maximum room capacity is two adults and one child (aged below 12 years) or 3 adults. Extra Guest Policy: Where applicable, an extra adult can stay at a surcharge of INR 3,749, with an extra bed and the inclusions available in the package, payable directly at the resort. Child Policy: A child (aged between 0-5 years) may stay free of charge. Where applicable, a child aged between 6-12 years may stay at a surcharge of INR 3109, which includes an extra bed and the inclusions available in the package, payable directly to the resort. Ocean Facing Pool: It is a sight to behold. The gorgeous pool overlooking the sea is perfect for a dip during the day and night. With plenty of sun loungers available, you can also relax by the pool. Wellness Centre: An Ayurveda centre with qualified Ayurveda specialists is available at the resort. You can opt for a holistic consultation or choose from one of the therapies there. 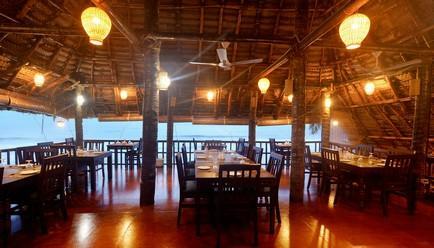 Dining: A perfect matrimony of the contemporary and traditional setup and cuisines, the Bait and Hook is a popular restaurant in Varkala. A meal by the seaside with delectable dishes freshly made and served with love, the dining experience here is one of its kind. Spa: The spa offers a refreshing experience with its exceptional Ayurveda massages and therapies. It also includes other wellness activities like yoga, meditation and more. 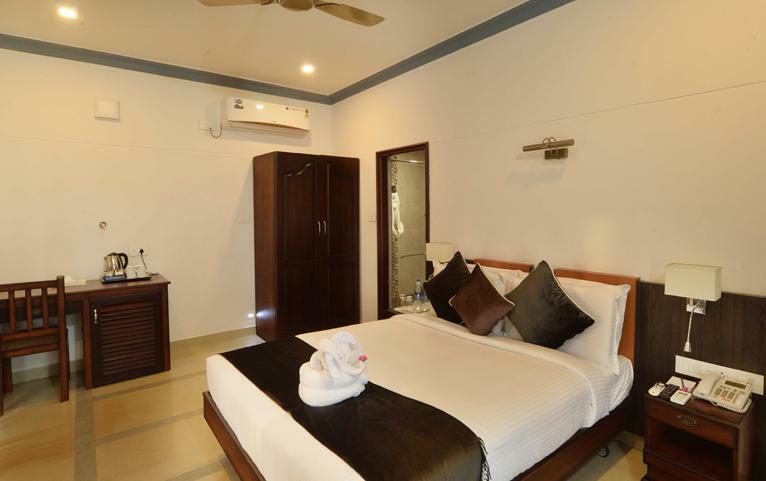 Other features: The resort also has a fully functional business centre, shoe cleaning services and provides all major amenities for a comfortable stay. 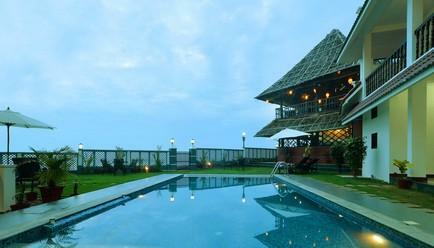 The nearest airport is Trivandrum International Airport, which is 90 minutes away from the boutique resort. Flights from all the major metro cities are available. The resort is a 4.5-hour drive from Kochi. Trains are available from Chennai and Bengaluru and connecting trains are available from all the other metro cities in India.